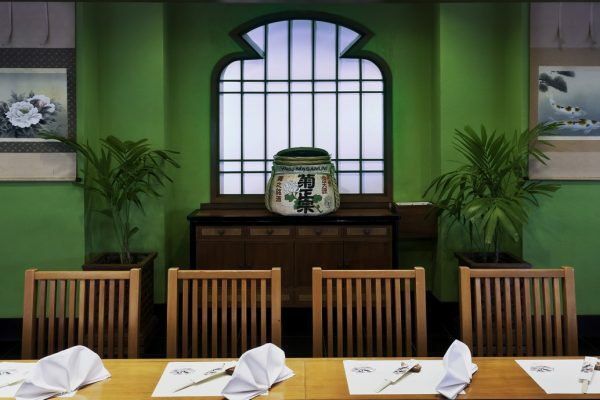 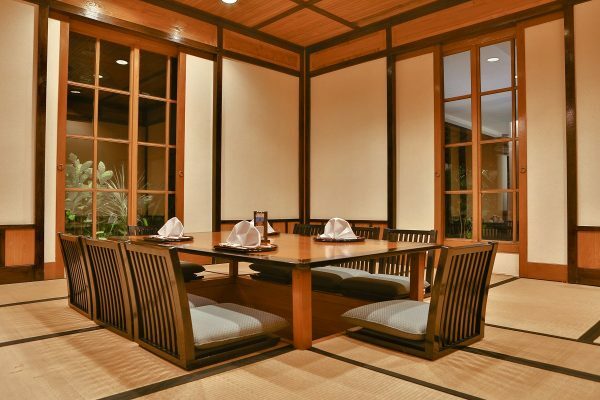 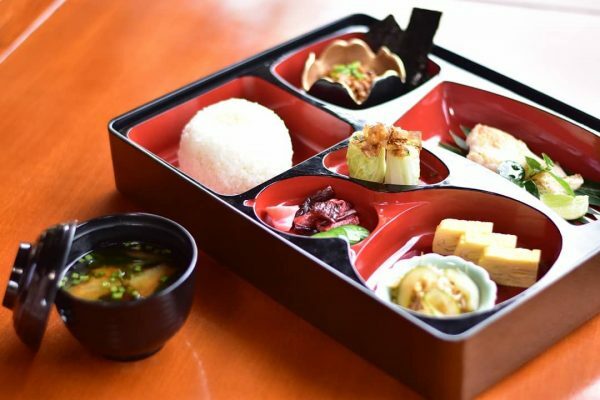 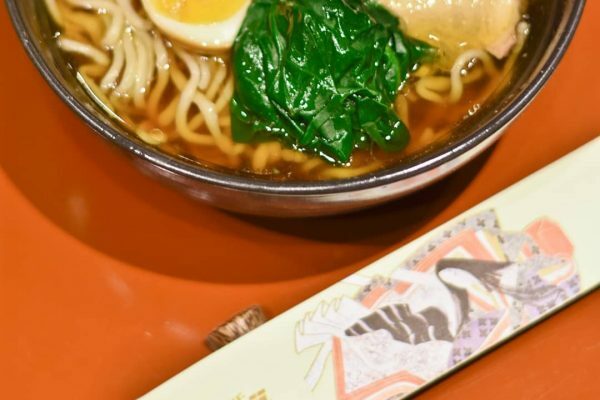 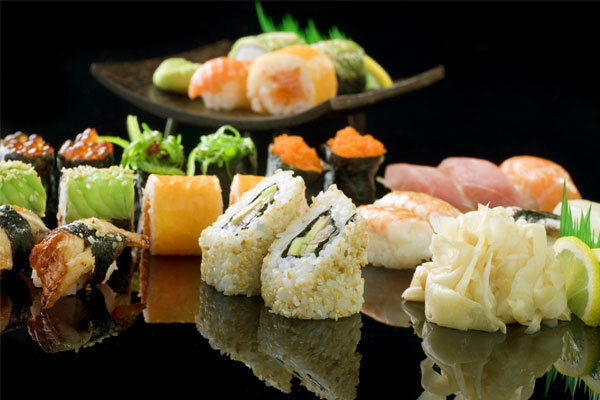 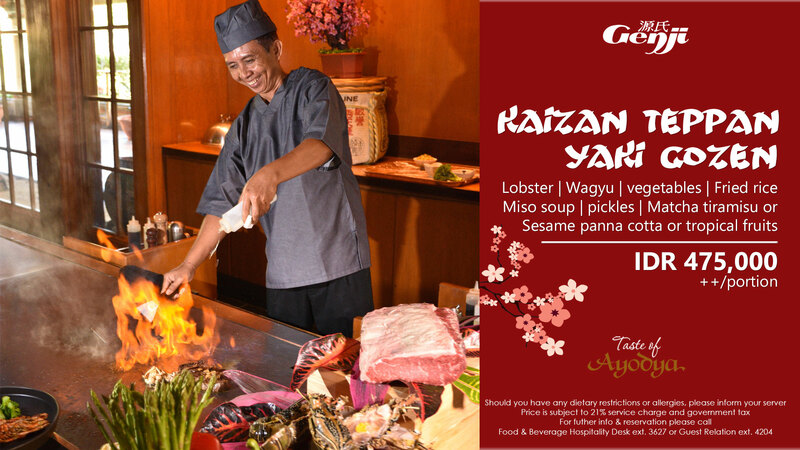 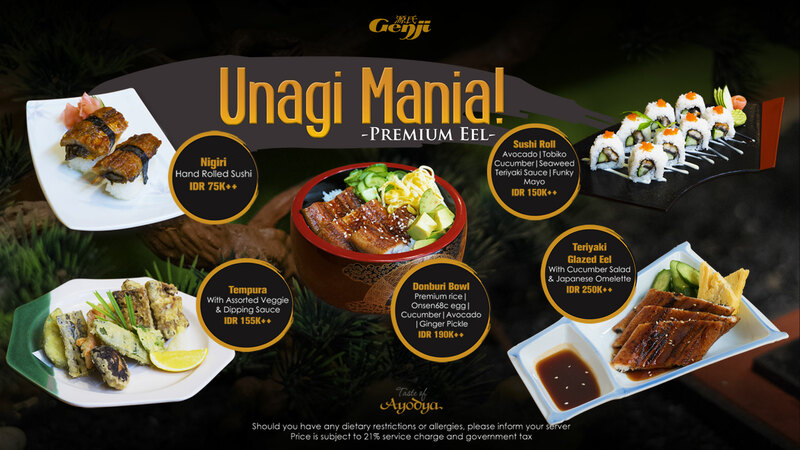 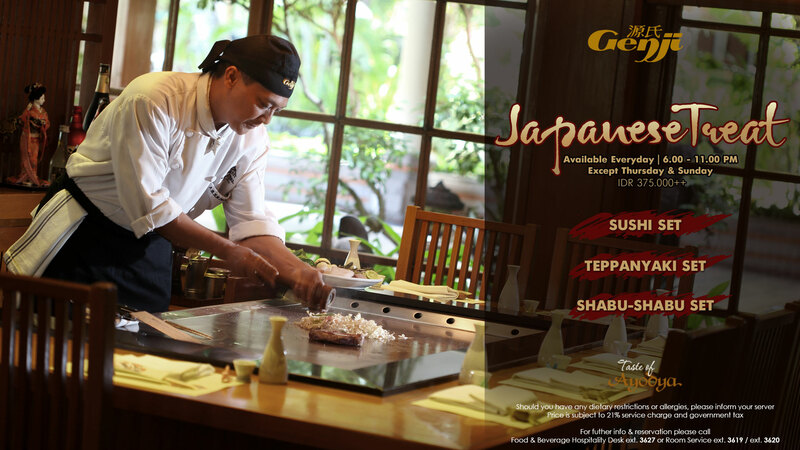 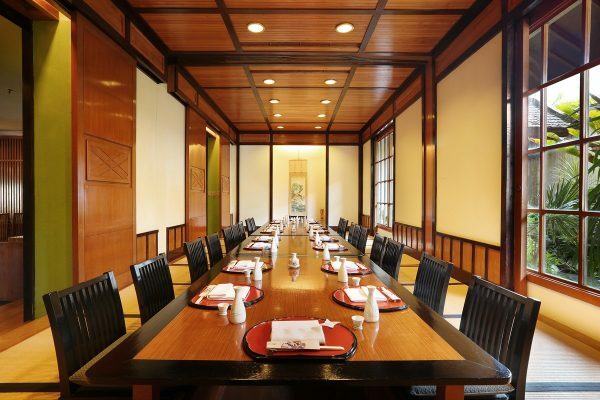 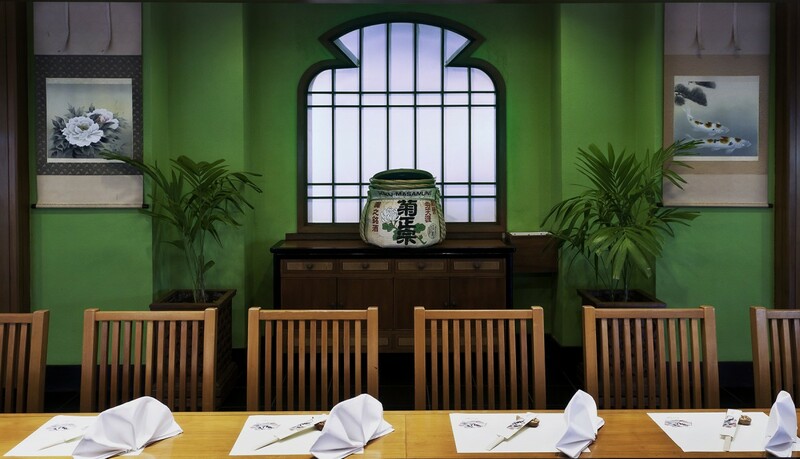 Located on the ground floor of the resort, experience authentic Japanese cuisine in a warm and inviting ambience. 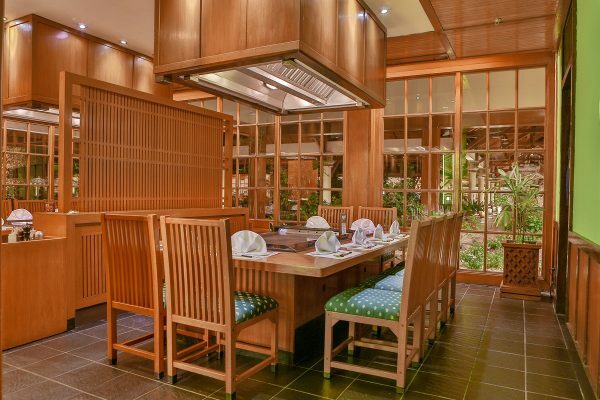 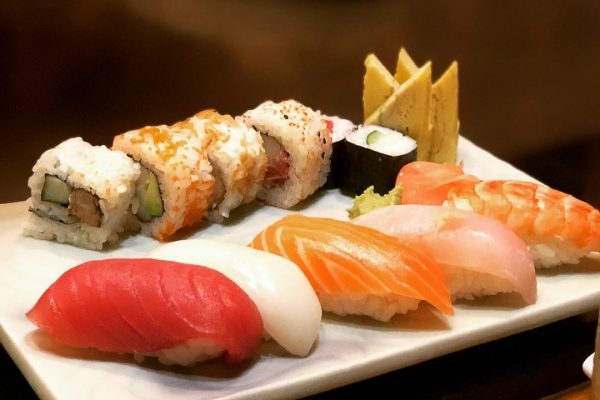 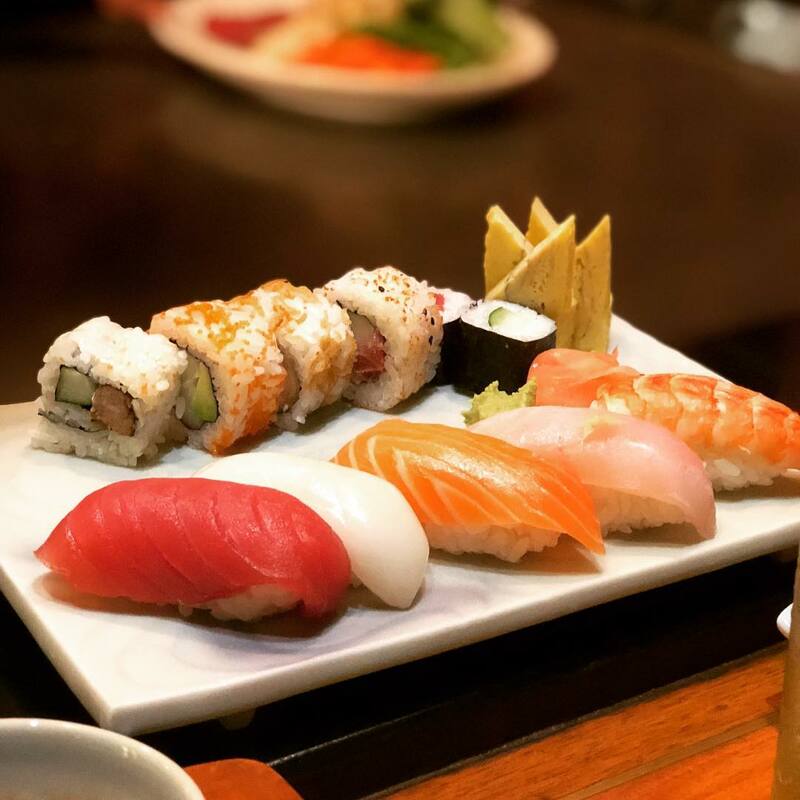 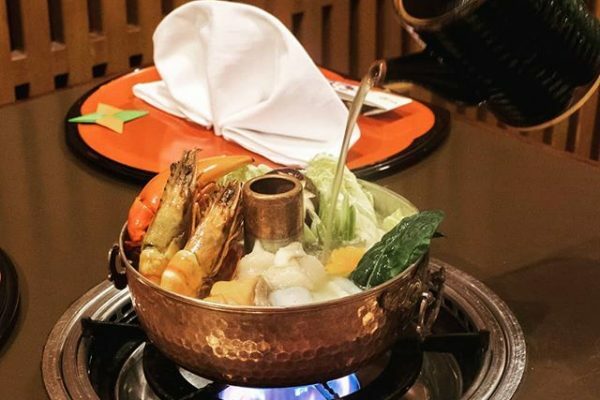 Genji presents all of your favorite Japanese specialties in our naturally sunlit dining room, or try something different and enjoy our Teppanyaki tables, sushi bar or private Tatami Room for your special celebration. 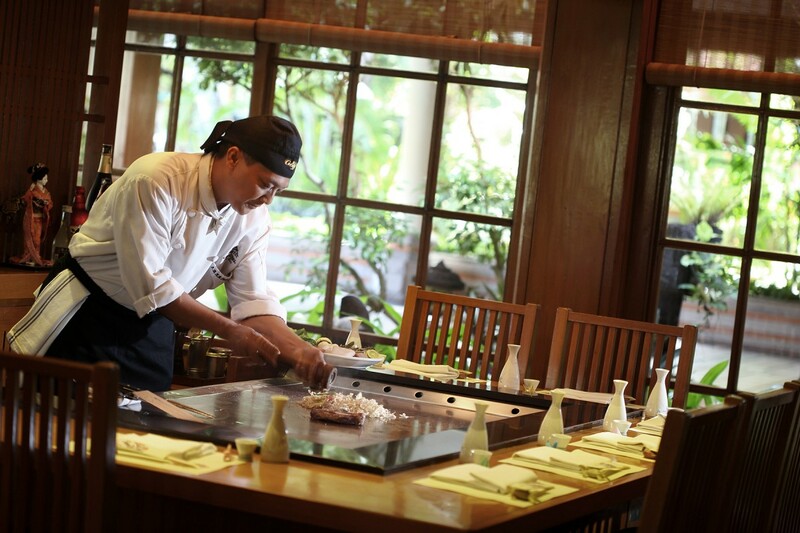 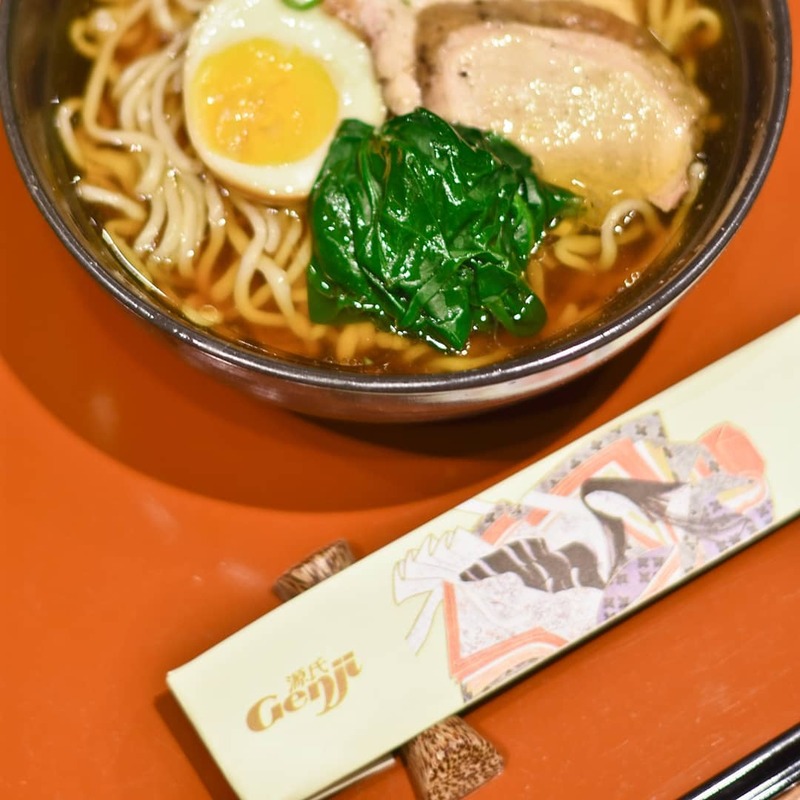 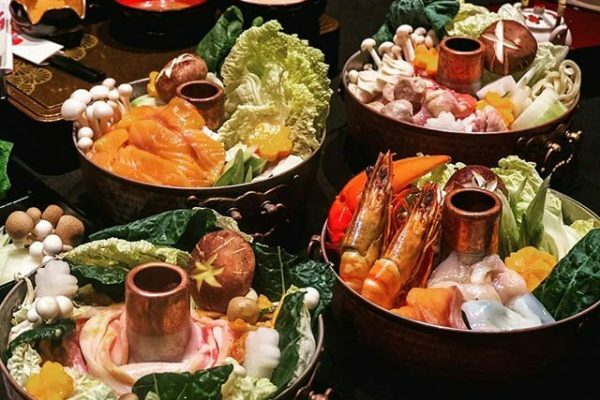 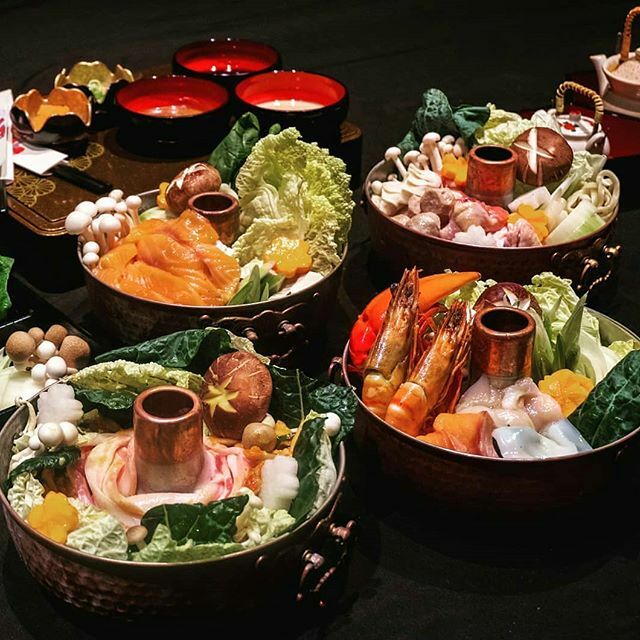 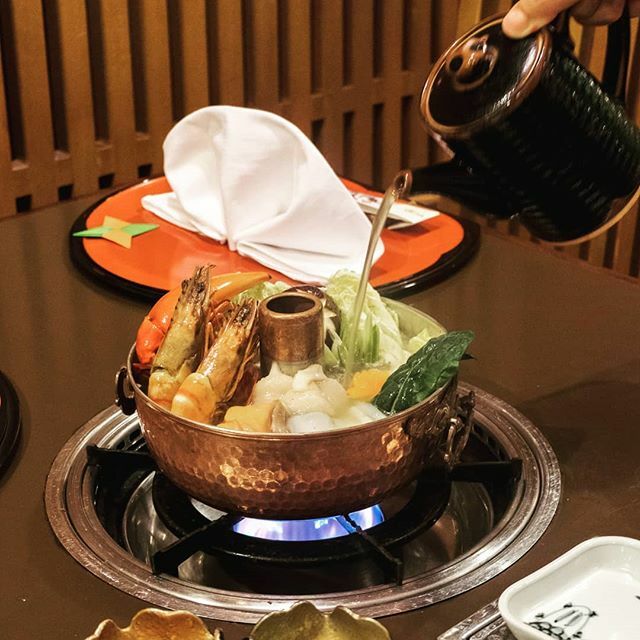 Our native Japanese Chef, Mitsuaki Senoo, reveals his best-kept secret recipes exclusively for Genji’s guests. 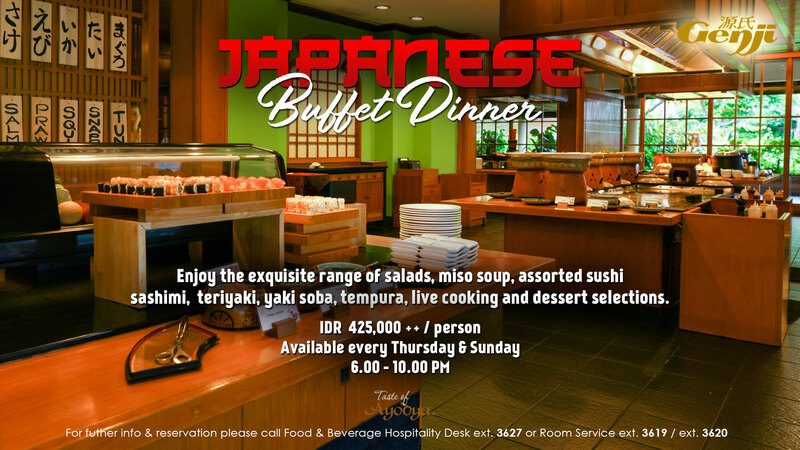 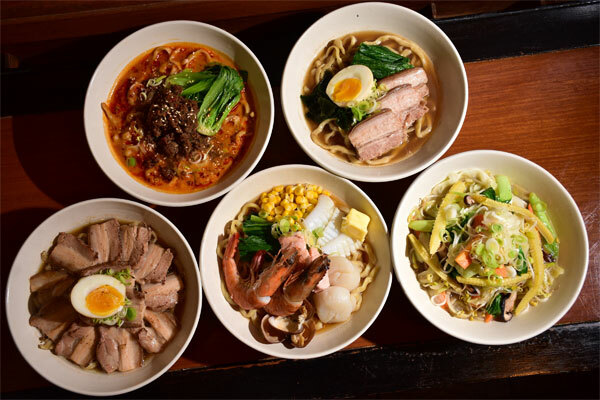 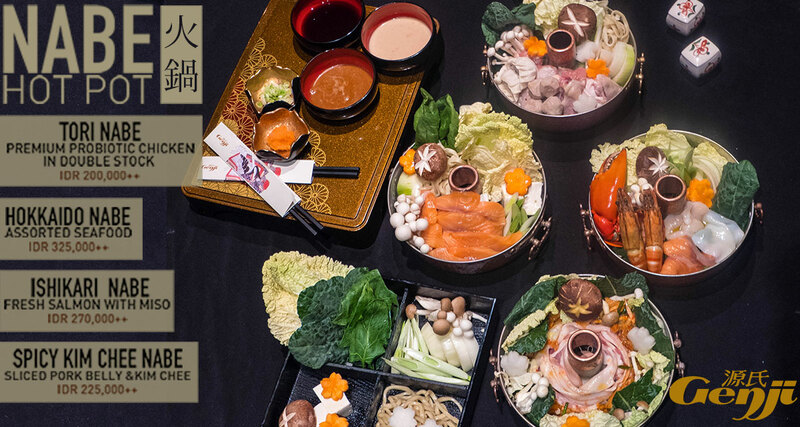 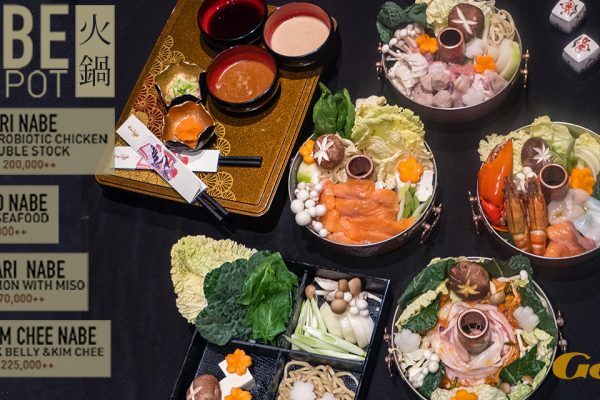 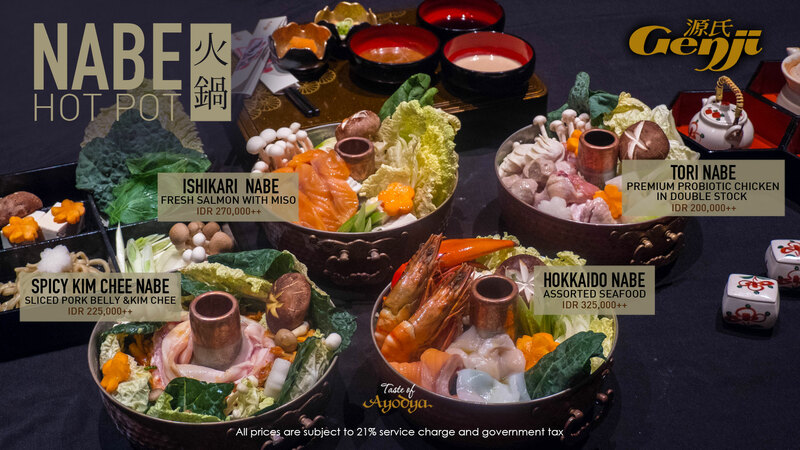 Enjoy the exquisite range of salads, miso soup, assorted sushi, sashimi, teriyaki, yaki soba, tempura, live cooking and dessert selections. 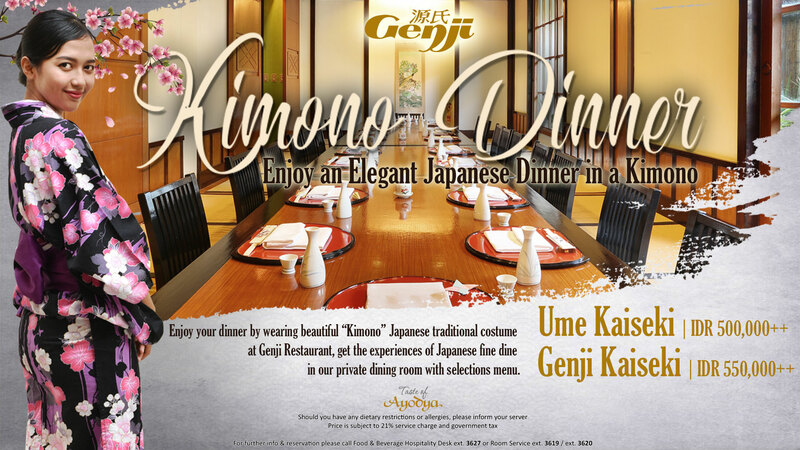 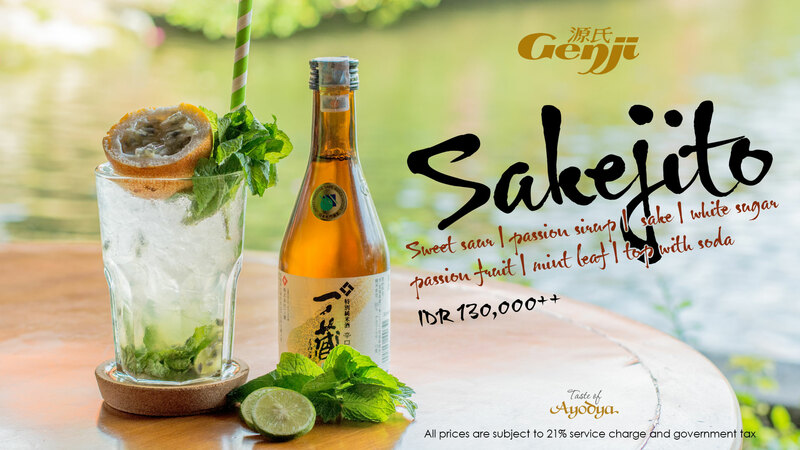 Enjoy your dinner by wearing beautiful “Kimono” Japanese traditional costume at Genji Restaurant, get the experiences of Japanese fine dine in our private dining room with selections menu.